Comedy Masala ft. 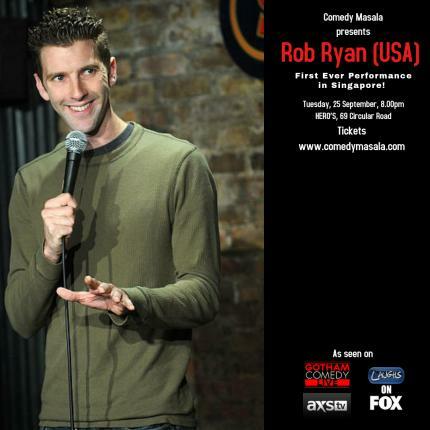 ROB RYAN (USA) | as seen on 'Laughs on FOX', Gotham Comedy Live & AXStv | First Ever Performance in Singapore! Rob Ryan is coming to Singapore for the FIRST TIME EVER!! Gonna be huge!